Ration Farm ( La Plus Douve ) Annexe, Belgium. Pte Cahill enlisted in Mullingar Barracks. On the 5 April 1915. In April 1916, he was serving with the 2nd Leinsters in the trenches at Messines, near Wulverghem when the "B" and "D" Companies where heavily shelled resulting in great damage and casualties. 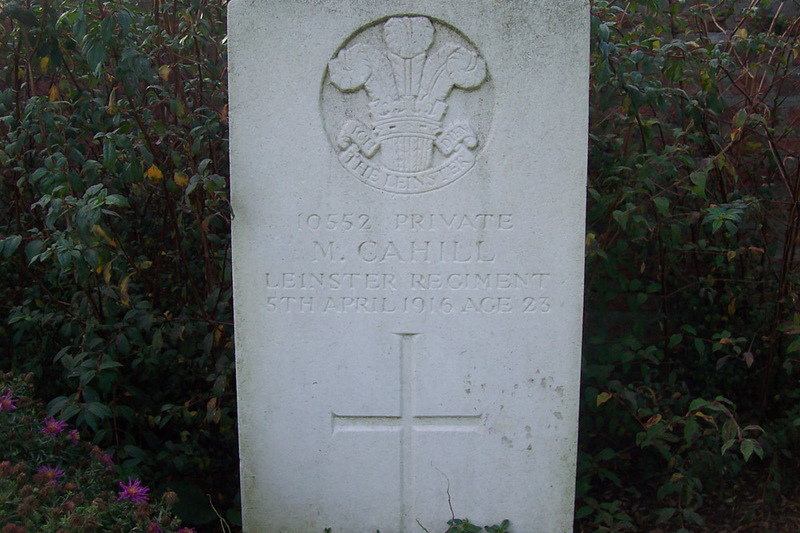 Son of Michael and Anne Cahill, of Ballynacarrow, Enper, Co. Westmeath. 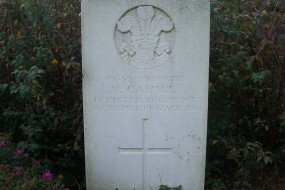 *The CWGC headstone record suggests a birth year of c.1893 for him. **Michael's mother Anne (Nannie) later remarried and became Anne Farrell, and she lived in Tenelough, Carrickboy.